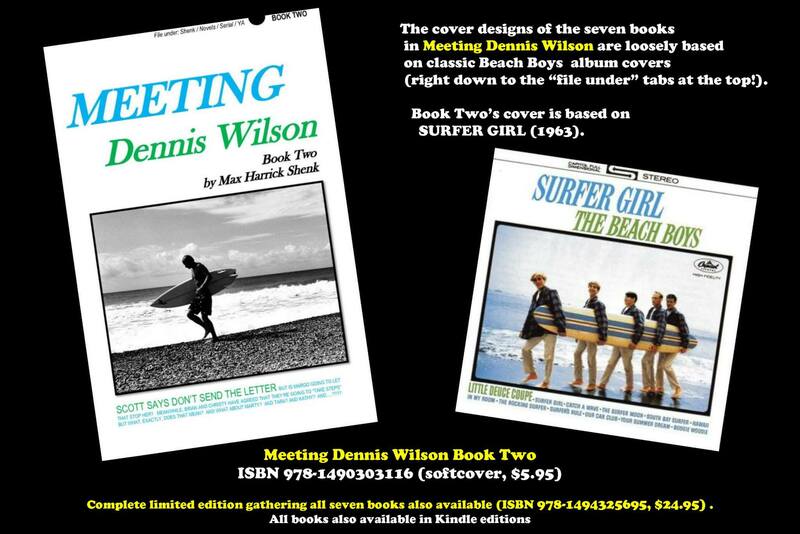 My novel Meeting Dennis Wilson is driven by 15-year-old Beach Boys fan Margo LeDoux’s crush on the group’s drummer, Dennis Wilson. When Margo gets the idea that she could actually maybe MEET her heartthrob, she composes a letter to him, which she presents to her best friends Brian (the book’s narrator) and Christy (Brian’s girlfriend)… and to her boyfriend Scott, who, naturally, opposes the idea (“I don’t want you runnin’ off and bein’ some GROUPIE!”). She sends the letter, which brings on problems of its own, and that, among other things, spurs the convoluted, interconnected plotlines of Meeting Dennis Wilson. Here’s the rough draft of Margo’s letter to Denny. Note: the break after “I’m kind of shy” is due to a narrative insertion in the book that I don’t want to spoil by including here. 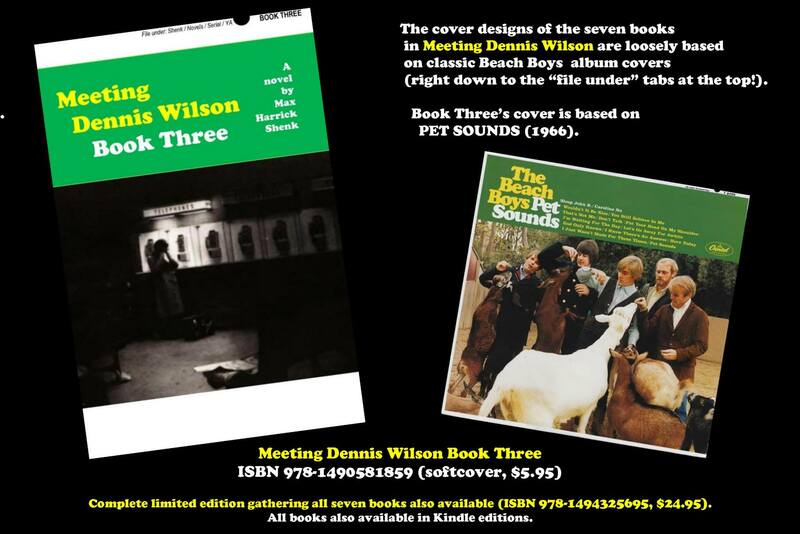 To read more excerpts from Meeting Dennis Wilson, click here. 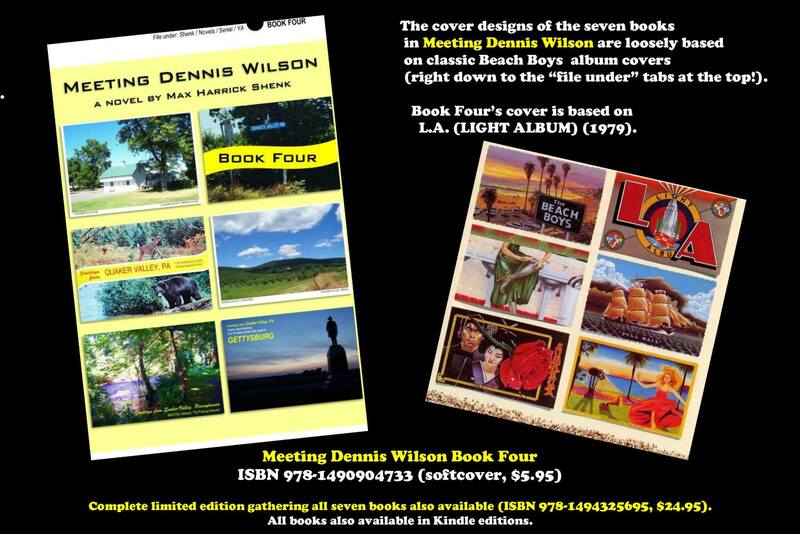 Here are links to excerpts from my novel Meeting Dennis Wilson. Click on the titles and the links will open in a new window. For ordering info, click on the picture OR click here! 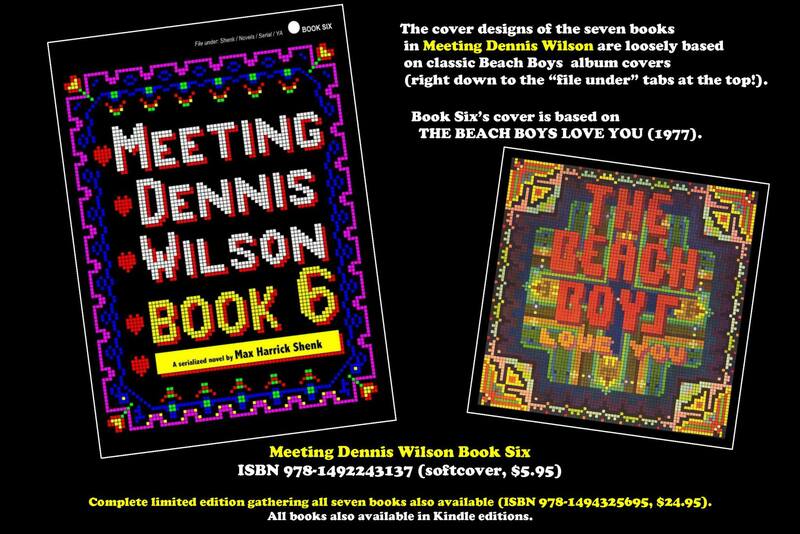 The seven book covers for my serialized coming-of-age novel Meeting Dennis Wilson are all deliberately based on the cover designs of classic Beach Boys album covers. In doing the designs (and yes, I did all of the cover design myself; like everything else in this process, it was a learning experience! ), I wanted to emulate those album covers without directly ripping them off. Designing each one of them was fun in its own way, from the time-consuming “fill in the blank boxes on the graph paper with color” for Book Six to taking the pictures for the mock-up postcards that I created for Book Four. As on the group’s early Capitol album covers, I even included the “file under” tabs at the top of the covers (for consistency with the whole series, I used those tabs in all the book designs, even those where the original albums didn’t have the tabs). The only quirk of the design process that I couldn’t correct or control was that two of the books (one and three) were too slender to have spine type. Perhaps I should include a Sharpie with each of those books. 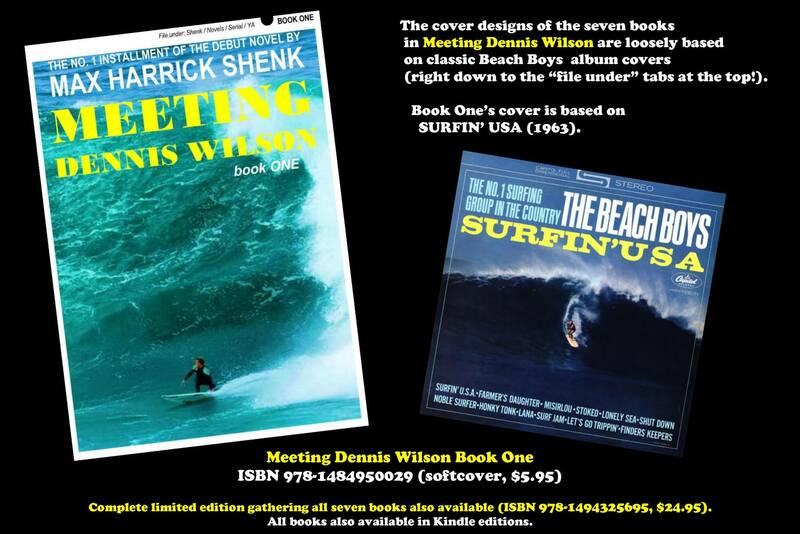 Like the story itself, the Meeting Dennis Wilson cover designs are not directly “about” the Beach Boys, but inspired by them… and people who like the group, I hope, will get it. 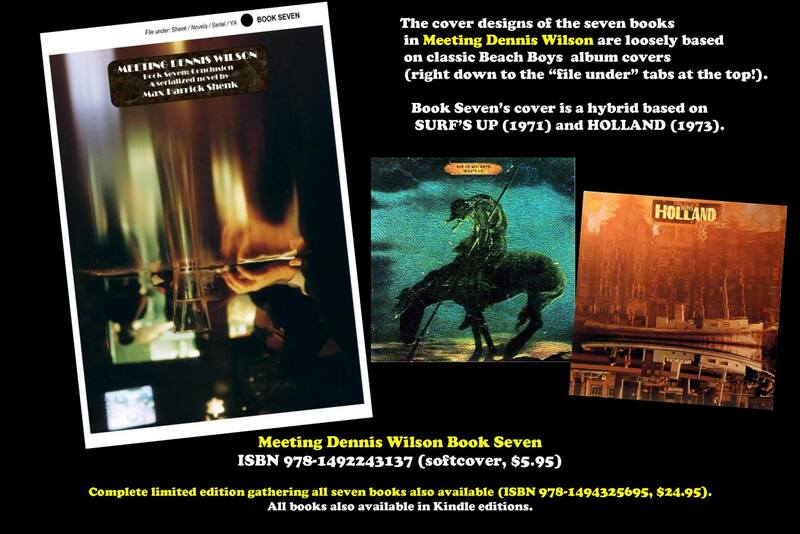 For those who don’t, though, this photo album shows you the book covers alongside the album covers on which the designs were based. 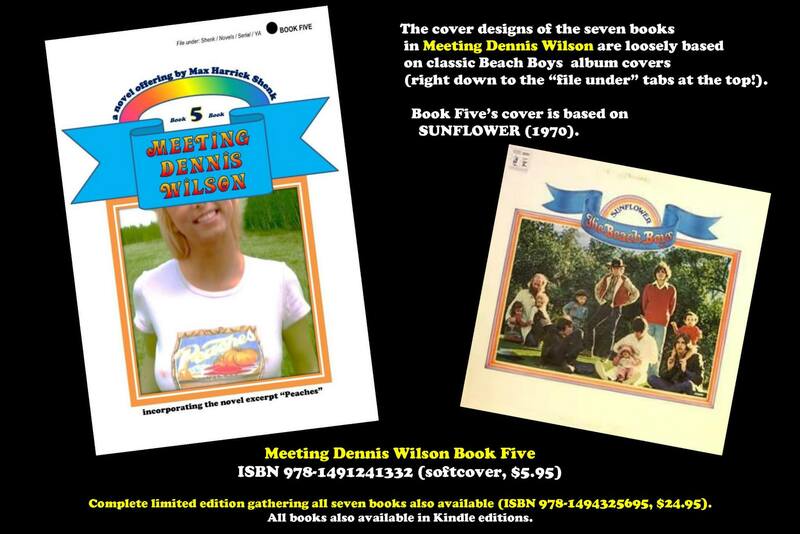 For more about Meeting Dennis Wilson, click here.